Acne is a long term disease that starts with hair follicles get clogged, most commonly with dead skin and oil. It is commonly thought that acne is mainly caused by a patient’s genetics. Things like personal hygiene, diet and time in the sun, while seemingly likely culprits, have proven to have little impact on the development and progression of acne overall. A particular bacteria known as Propionibacterium acnes, which is normally present on human skin, is a common factor for causing acne. This happens when it proliferates on (and in) your skin in excessive amounts. Other common factors in cases of acne include excessive production of sebum oil, genetic reaction to the production of hormones, and ingrown hairs. Almost 7% of Americans suffer from acne. Treating it successfully requires identifying which type of acne you suffer from. Acne is divided into inflammatory and noninflammitory cases. Under these two, there are numerous subdivisions, including pustules, cysts, black and white heads and more. To make matters worse, you can suffer from multiple forms of acne at the same time. When most people think of acne, they are thinking about the Inflammatory form. Here, patients suffer from pimples that are swollen and red. Sometimes, similar bumps ands swelling that seem to be acne are actual caused by aliments that while similar in appearance, are actually very different from actual acne. These include milia, rosacea, folliculitis and more. 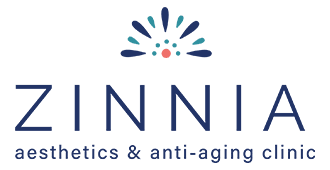 Our providers at Zinnia are experts in the identification and treatment of acne and similar skin conditions. We will tailor a treatment plan specific to your needs and circumstances. Call us today at 571-200-2254 to set up a free consultation.